Inventors. Problem-solvers. Discoverers. Dreamers. Learners. **Taking registration for Private Morning or Afternoon Preschool Classes. Limited Seating. Your child is opening his or her eyes to the wider world and taking an active role in it, with boundless energy! We embrace that energy and channel it into active, sensory-based, meaningful experiences. Our teachers get to know each child, learn their interests, and plan developmentally appropriate, engaging activities that pave the way for lifelong learning. At Small World, we’re proud to offer your child our Education Base Child Program. This exclusive, milestone-focused approach to child care and early education is driven by key developmental milestones specific to toddlers and 2-year-olds preparing to enter preschool. We emphasize your child’s development, rather than specific age, because all children grow and learn at their own pace, and in their own unique way. Activities are designed to address the individual needs and abilities of each child, in each classroom. 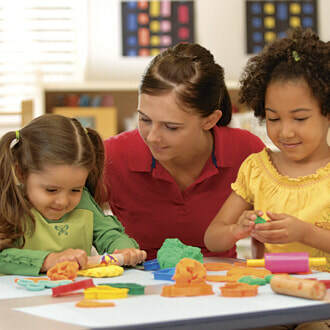 Lesson plans are customized to the unique needs and strengths of the children in that class, while the classroom is designed to provide a comforting, stimulating environment.